We have all been there: feeling so thankful to a friend or colleague that people hatch the notion of sending them a thank-you message. But we worry about the way to phrase it. And then we guess it probably will not mean much to them anyway; if anything it might be somewhat awkward. So we do not bother. Does this seem familiar? According to a set of US psychologists, a frequent failure of perspective implies that a good deal of us underestimate the positive effect on others (and ourselves) of expressing gratitude, meaning that we miss out on a very simple way to enhance our societal relationships and wellbeing. The study included hundreds of participants, some recruited to participate in the psych lab and many others online via Amazon's Mechanical Turk poll site. The format through a number of these experiments was broadly similar. Participants were asked to write a letter of thanks through email to somebody who had touched their life in a meaningful manner, such as expressing what the individual had done and how it had influenced their life. Throughout these experiments, the participants were asked to make a variety of predictions about how the recipient would perceive and feel them. Meanwhile, the investigators made contact with the recipients to discover how they really felt and what they really believed. The senders of the thank-you letters always underestimated how favorable the recipients felt about receiving the letters and how amazed they were by the material. The senders also overestimated how embarrassing the recipients felt; and they underestimated how warm, and especially how capable, the recipients believed them to be. Other experiments demonstrated that these exact misjudgments influence our willingness to write messages that were senile. 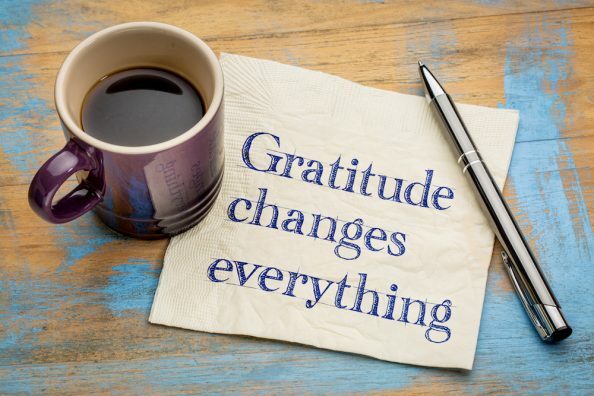 As an example, participants who felt competent about composing a message of gratitude were willing to send one; and, logically enough, participants were willing to send thank-you messages to recipients that they believed would benefit the least. Kumar and Epley consider that this asymmetry between the view of the possible expresser of the receiver means that we frequently refrain from a"strong act of civility" that would benefit both parties. "If individuals engaging in prosocial activities are more concerned about proficiency than those profiting from them, then our experimental results should be only 1 instance of a wider tendency," the investigators stated. A methodological limitation is that the investigators were not able to attain all letter recipients and it is possible those less impressed with the thank-you note were willing to share in the research. However, the available data do not back this up -- for example, the mis-predictions of the expressers of gratitude were just as good from the experiments where more recipients took part (therefore reducing the danger that just happy recipients had engaged ). These are fascinating findings that complement other work by Epley and colleagues demonstrating how our fear of awkwardness can lead us to misjudge what's in our own best interests, like underestimating how much we'll love interacting with strangers.